Shiro - Born in Tokyo, Shiro began studying art at a young age with the painter Kaburagi Kiyokata. He completed his first woodblock designs for Watanabe Shozaburo in 1919 after the publisher saw his paintings on exhibit. 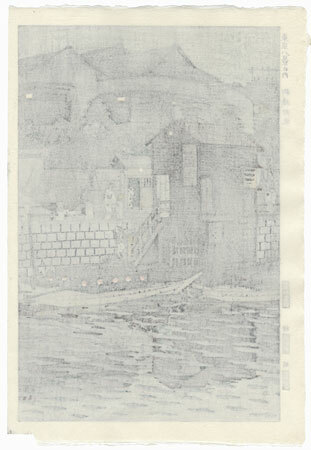 Shiro designed shin-hanga prints for Watanabe for many years, becoming well known for his romantic landscapes of famous landmarks and his scenes of traditional Japanese life. From 1952 to 1960, he created more than one hundred woodblock designs for the Kyoto publisher Unsodo. He also experimented with sosaku hanga or creative prints starting in the late 1950s, carving and printing his own designs. 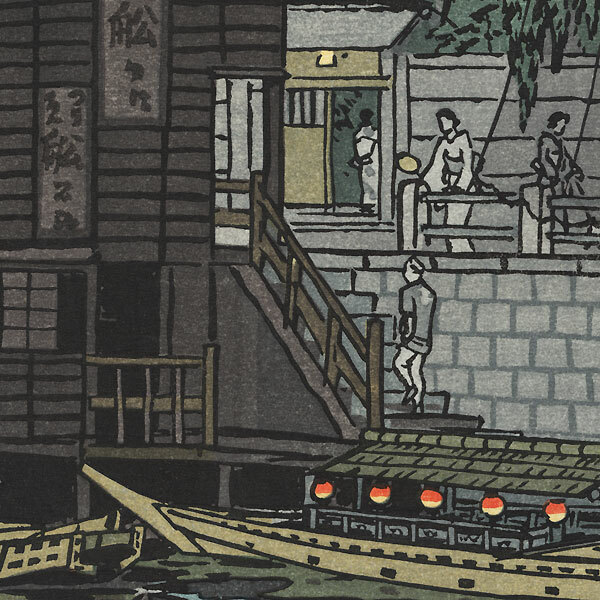 Shiro is regarded as one of the top shin-hanga woodblock print artists in Japan. Comments - Handsome view of the waterline at Yanagibashi or Yanagi Bridge in Tokyo at evening. 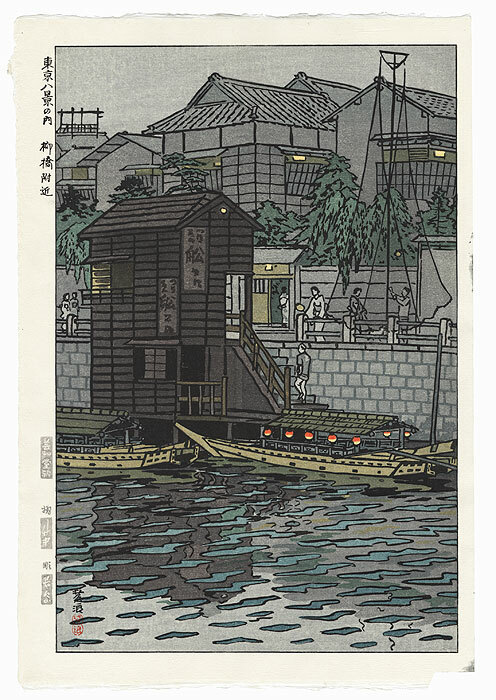 A pleasure boat hung with glowing red paper lanterns is moored beneath a set of stairs at right, and pedestrians stroll along the embankment above. Interesting handling of the reflections on the choppy surface of the water.